On a cold winter's night in London there is only one thing than can brighten the battling wind and rain, the UK's first Chinese Lantern Festival. 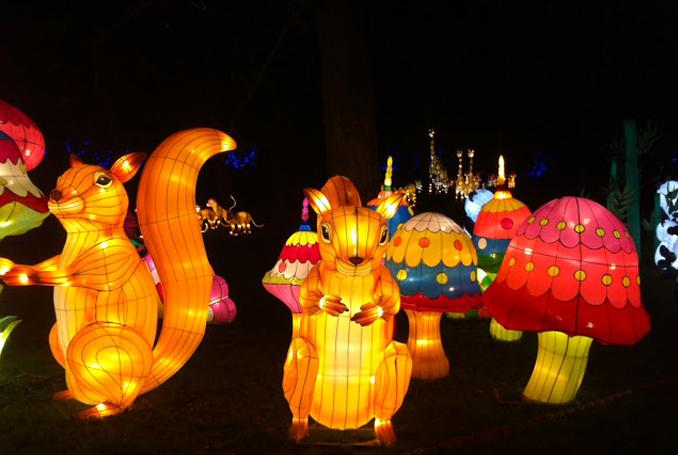 Currently taking place in Chiswick House Gardens to mark Chinese New Year, the Magical Lantern Festival is a curation of enchanting art installations stretching through leading and hidden pathways within the gardens. Displayed in a fairytale setting the installation includes over 50 sculpted giant lanterns, formed into animals, legendary characters, flowers and buildings. The Magical Lantern Festival goes from 3rd February to 6th March 2016, you can find out more information about tickets and opening times here.